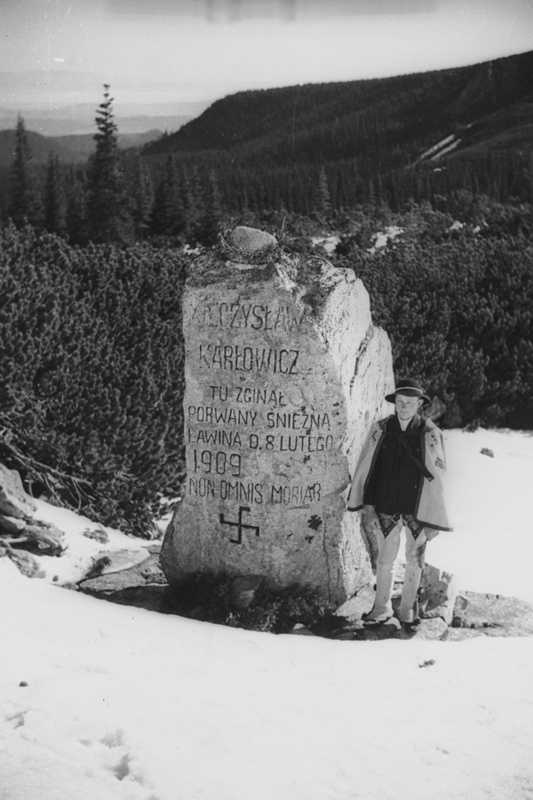 At the Barbican, Sunday 28th October, commemorating the 100th anniversary of the declaration of the Czech Republic, a rare screening of the film Svatý Václav (St Wenceslaus), patron saint of Bohemia. The film was a grand scale spectacular, planned to mark the 1000th anniversary of the assassination of the King on 28th September 935. Hence two national holidays 28th September and 28th October. 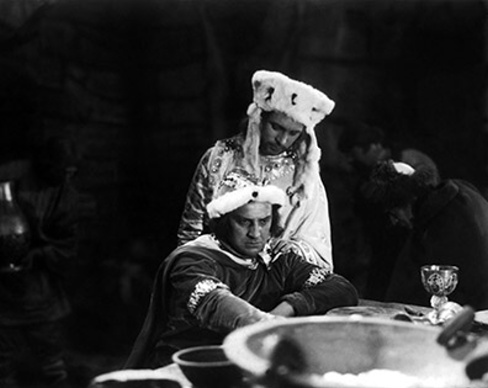 Given that the saintly King Vaclav symbolizes Czech identity in so many ways why did the film fall into obscurity, only to be revived fairly recently ? It's not easily available to buy, so catch the 2010 screening in Prague (no translation -you have to pay attention !) with the original orchestral score by Oskar Nedbal and Jaroslav Křička,or go to the Barbican where it will be accompanied by singers and musicians from Cappella Mariana, the Prague-based early-music ensemble specialising in medieval polyphony. 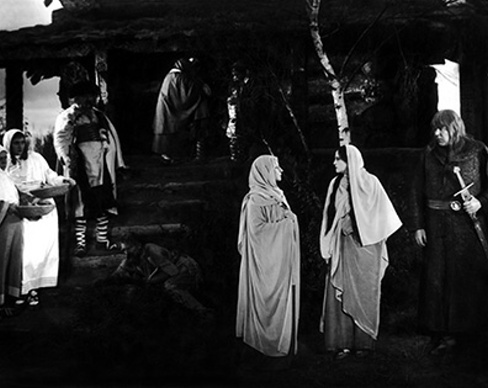 Directed by Jan Stanislav Kolár, Svatý Václav is made in a cinematic style similar to Fritz Lang's saga Die Nibelung (1924) (Please read my summary here) so expect stylized acting and costumes, which in fact have their own non-naturalistic charm. This suits the treatment, part based on historical fact, part on legend, which, given what Vaclav means to the Czech nation, is even more potent. The film opens with a shot of a fortified castle on a hill : the home of King Bořivoj (played by the director himself) and Queen Ludmily who are baptised as Christians in 873. As we know from Lohengrin, Christianity was by no means a given in that era. While hunting in a forest, Prince Vratislav meets Drahomíra, who rides horses like a knight and throws spears like a hero. She's not a Christian but converts to marry him. When their son Vaclav is born, grandmother Ludmila snatches him away at birth and brings him up properly devout. Vaclav and his brother Boleslav and sister Přibyslava grow up happily in the castle, built like a stockade from whole logs from the surrounding forests. People dance, sing and trade with foreign merchants, but Vaclav likes praying before a cross of stone. Even when he's helping in the kitchen, the boy prays so fervently that he burns dinner. Not surprisngly Drahomíra, estranged from her children, plots revenge, and Ludmily is strangled to death, with her own scarf. When he hears of his grandmother's death, Vaclav goes into action against the pagans, banging a giant cymbal as a call to arms. Panoramic shots of knights lined up on ridges above the plains, scores of footsoldiers running through valleys, trumpeters blowing horns that look like mammoth tusks. Vaclav also has to battle with Germans, led by Heinrich der Vogler, whose helmet is emblazoned with the black wings of an eagle, a metre high. The Germans are fomidable - proper chainmail, bigger horses, but the Czechs hold their own. Vaclav is injured, but survives. Eventually he captures Heinrich's son (rather effeminate, in this film) but instead of killing him, restores him to his father in exchange for peace. The Czech knights are welcomed into the German court and presented with holy Christian relics. Meanwhile Boleslav is plotting, aided by sympathisers of the old order and Drahomíra's old friend, the giant Košvan. At a feast in the castle, pipers pipe and dancers make merry. Mead is poured from goblets, but Boleslaw plans to poison his brother. A blind harpist sings a ballad about a King showing his sons that a sheaf of staves cannot be broken, though each staff on its own can break. When the King dies, the brothers fight and are themselves killed by enemies Boleslav listens and pours away the poison. Vaclav raises his chalice and prays. He embraces Boleslav and leaves. On the battlements, Vaclav stands alone, in th night breeze. Radmilo, Košvan's daughter, realizes that’s how saintly Vaclav might be. Boleslav is racked with anguish but doesn't stop Košvan's assassins from cornering Vaclav at the gate of the castle and killing him. A storm blows up, so fierce that the killers are driven away. Vaclav's body rests in state. Suddenly, the Drahomíra appears and weeps over the martyred Vaclav. Boleslav is declared King but she blocks his path. "Matko!" he says (mother). A glowing crucifix appears, like a miracle, over Vaclav's corpse. Boleslav cries for forgiveness. (I think, I don't read Czech) Svatý Václav is actually a very good movie, even without the patriotic and religious context. Definitely recommended. Is the Czech Philharmonic Orchestra entering a new era ? In London at the start of a new international tour, Semyon Bychkov, new Chief Conductor, led the Czech Philharmonic in a concert featuring Smetana and Dvořák, with Alisa Weilerstein. This concert was very high profile indeed, attended by the great and the good, as if it were a state occasion, markingb the 100th anniversary of Independence. And indeed it was, since the Czech Philharmonic is unique, with a distinctive persona. Part of the reason it is so unusual is because its traditions are rooted in Czech culture, from which Czech music has grown, as if language translates into music. The orchestra doesn't frequently tour : if you want to hear them other than on recordings or broadcast, you need to go to the Rudolfinium, and absorb the whole context. This, of course, isn't always practical, and in a digital age, any orchestra's potential audience is world-wide. So it's logical that the Czech Philharmonic should be reaching out. Before Bychkov was appointed last year, the announcement stated that the choice would depend on "publiku, nahrávacím společnostem, zahraničním pořadatelům i k ministerstvu kultury".ie the public, recording companies, foreign organizations and The Ministry of Culture. Perfectly valid, since Czech culture and music is a vital part of world heritage. The question is how this will affect the orchestra's core values and artistic soul. Whatever model the Czech Philharmonic adopts for its outreach should, accordingly, be individual, rather than borrowing from what might work for other orchestras. What we love about the Czech Philharmonic is the very fact that it is not polished or celebrity-focussed. The market should rise to its standards, not the other way around. Britain embraced Czech music very early on. In 1884, Dvořák himself conducted his Stabat Mater and Symphony no 6 at the Three Choirs Festival. Janáček visited London in 1926, and re-dedicated his Sinfonietta in honour of Rosa Newmarch. Only ten years later Vítězslava Kaprálová, aged only 22, was invited to London to conduct her own Military Sinfonietta with the BBC Symphony Orchestra, a work which pays direct homage to Janáček, at a time when Czechoslovakia was being threatened by the Nazi regime. The bonds between Czechslovakia and British culture grow deep. So it was a surprise that the start of this tour should take place in the Duke's Hall at the Royal Academy of Music, with a capacity of only 350, rather than, say, the Royal Festival Hall which seats 3000. In the US, the Czech Phil is playing Carnegie Hall. Nonetheless it was an opportunity for students of the RAM to join the Czech Phil on stage and play together : symbolic and educational value, reflecting Bychkov's position as Professor of Conducting, which he takes so seriously that he's conducted the RAM orchestra at the RFH. Thus a suitably festive Overture to Bedřich Smetana's Bartered Bride joyously free. Bychkov began the Czech Philharmonic's 2018-2019 season in Prague with Antonín Dvořák's Symphony no 7 in D minor op 70, paired with Luciano Berio's Sinfonia but for the start of this tour, complemented it with Dvořák's Cello Concerto in B minor, Op 104 with soloist Alisa Weilerstein, who shot to fame when Daniel Barenboim chose her when he returned to Elgar's Cello Concerto, so closely connected to Jacqueline du Pré. She's more mature now, and brings that greater refinement to Dvořák : well shaped legato, at turns sensuous and demure, well integrated with the orchestra around her. The orchestra, though, stole the show, playing with the distinctive timbre that is their trademark : horns that call and breathe without being brassy, strings that swell and vibrate with genuine emotion, winds that sing as freshly as forces of Nature. The Adagio seemed to glow, the restraint of the cello enriched by the fullness in the orchestra, but the Finale impressed because it was so thoughtfully shaped. A rewarding Dvořák Symphony no 7 in D minor op 70. Again, the characteristic richness and depth of the Czech Philharmoniuc came to the fore : the idiom is in their DNA so to speak. Thoughg this is sometimes called the "London" symphony its impulses are altogether more personal. Interpretation grows through an understanding of the composer and his work as a whole. Thus the Allegro maestoso unfolded purposefully, its stately progress defined with assurance. Dark as this symphony may be, it's clear-sighted, the destination never in doubt. A heartfelt coda. The Hussite hymn theme echoed in the second movement was subtle. It doesn't need over-statement, but it informs the Scherzo that follows the lyrical moments between. The motif that resembles dance wasn't frivolous, but an acknowledgement of the rondo-like tightness with which the symphony as a whole is constructed. A very strong Finale, arrived at through an understanding of the structural logic. 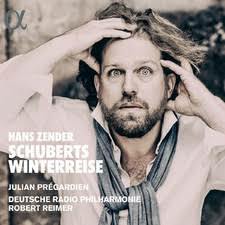 Hans Zender's Schuberts Winterreise is now established in the canon, but this recording with Julian Prégardien and the Deutsche Radio Philharmonie conducted by Robert Reimer is one of the most striking. Proof that new work, like good wine, needs to settle and mature to reveal its riches. I first heard Zender's Winterreise in 1994, conducted by Zender himself, with Ensemble Modern and Hans-Peter Blochwitz and didn't get it at the time. 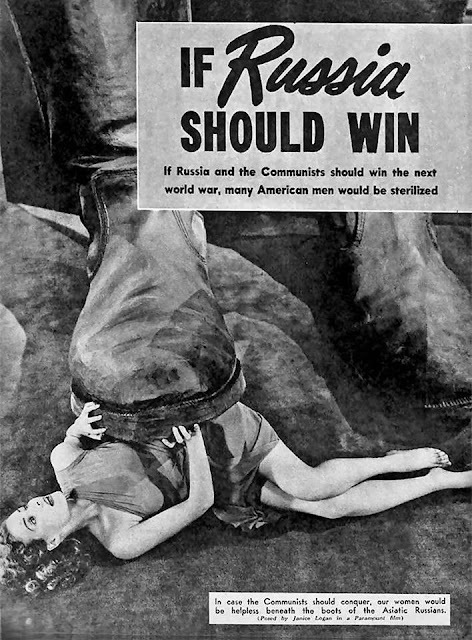 How things have changed. That first recording is good, but this new one in many ways is better, since the work is familiar enough now that performers dare take chances and venture, like the protagonist in the cycle himself. By no means is it Schubert's Winterreise but "eine komponierte Interpretation", a composed interpretation. A new work, not simply an orchestration of the cycle for piano and voice. There's absolutely no way it's an alternative to the original, but rather a meditation by a modern composer reflecting on his response to the most iconic song cycle of all. in our time, and Chandos is a label that specializes in British repertoire. This alone should make this new recording of Gustav Holst's orchestral works by the BBC Philharmonic Orchestra indispensible. But it is also a signifigant milestone because it includes an exceptionally idiomatic performance of Holst's early Symphony in F "The Cotswolds", so convincing that it should at last give this piece the recognition it is due. This disc is valuable too because the programme is cohesive, linking Holst's very early works with later pieces that hint at Holst's wider interests which gave his work a distinct personality. 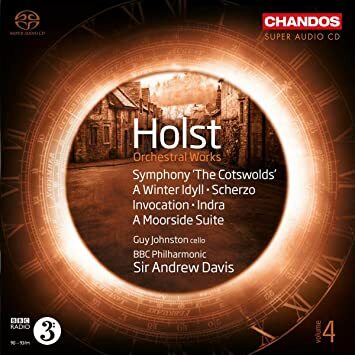 This disc is also part of Chandos's long standing series of Holst orchestral works conducted by Andrew Davis, which further adds to its authority. Altogether, a release that's leagues ahead of the market. Completed in July 1900 and premiered by the Carl Rosa Orchestra in which Holst played, the Cotswolds Symphony (op8 H47) was was not a success. 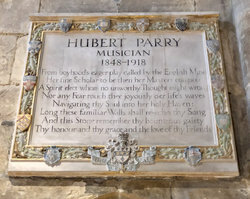 It would have been unreasonable to expect more from a composer who was barely 25, but there is much more to it than has been revealed in recordings made over the years. Perhaps the secret is to understand it in the context of the composer and his place in British music. 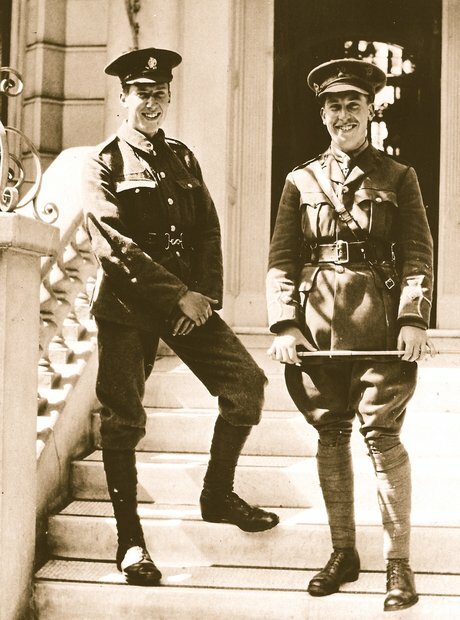 Davis, like Sir Adrian Boult before him, has an understanding of the full span of Holst's music. The opening Allegro con brio is free-flowing and confident, evoking Elgar, a composer with whom Davis is so closely associated. 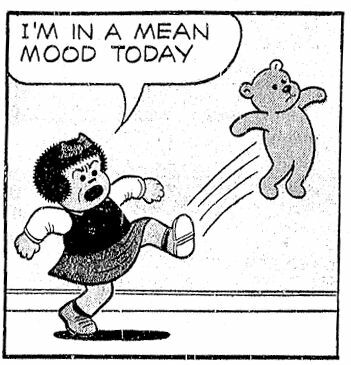 Hence the idiomatic punchiness, and crispness of attack. 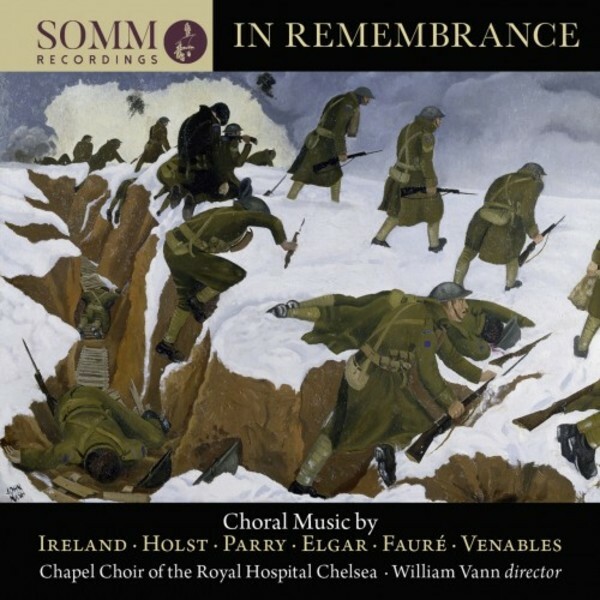 This introduces the famous second movement, the Elegy in memoriam William Morris. A tentative, but probing introduction evolves gradually, with suggestions of the more sophisticated Egdon Heath. It rises steadily to a cresendo that is dignified, yet deeply felt. The agitato section surges, like a march, punctuated by brass and percussion. The main theme flares up again, before discreetly receding. The title "Cotswolds" is something of a misnomer, suggesting touristy images of cottages, chintz and cream teas. But to Holst, an idealist and a thinker, William Morris was a radical with proto-socialist sympathies. The Arts and Crafts movement predicated on the idea of craftsmen working for themselves, not dependent on commercial capitalism. This affects interpretation and performance. 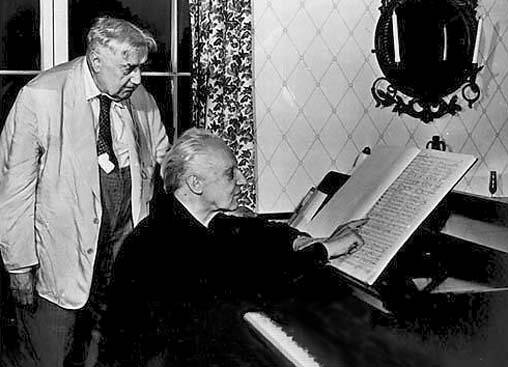 Fortunately, Davis understands who Morris was and what he meant to Holst. No false sentimentality here but deep conviction, much closer to the spirit of the piece. Thus the sudden change of mood in the Scherzo, and the return of the confidence in the Allegro now expanded in much fuller-throated orchestration in the Finale. 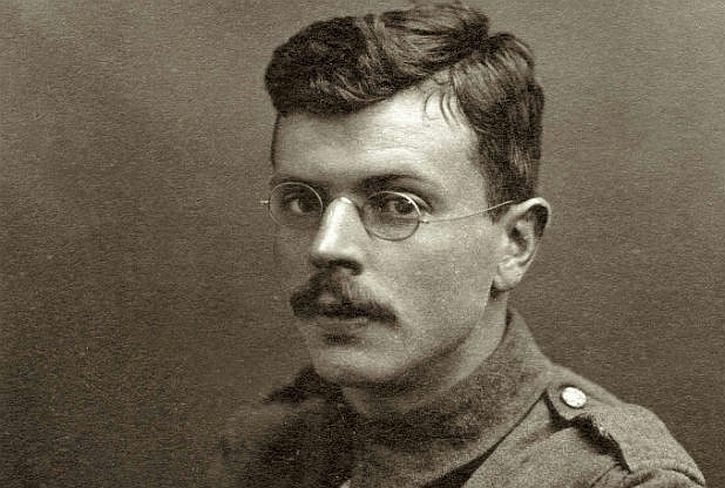 Holst's music marches forwards : it's not looking back. Good use of brass and warm-sounding horns, like wind in the sails, propelling the music onwards. The Cotswolds Symphony ends on similarly upbeat form as A Winter Idyll (H31 1897) begins. Again, Andrew Davis's understanding of the idiom makes a diffrence. Winter here is an almost demonic force of Nature, sweeping all before it, craggy peaks and soaring vistas. The main theme (trumpets and brass) repeats and string lines swell, as if propelled by the elements, turning on sudden, capricious points. One could detect the influence of Nordic saga - Wagner, Grieg or even a hint of Sibelius, nine years Holst's senior. Davis makes the point further with Holst's Indra (op 13, H66 1903), a large scale tone poem inspired by Sanskrit literature. Like so many of his contemporaries all over Europe, "orientalism" fascinated because it opened up new opportunities of tonal colour and form. Indra breaks new ground, giving Holst a chance to explore a consciousness outside the western mainstream. For all its lushness, Indra tells a violent story. In the Rig Veda, the god Indra (male) battles a dragon who has seized the rain clouds, throwing the land into drought, its people into ruin. The brass fanfares are militant, suggesting perhaps the cosmic forces being brought to bear. Like A Winter Idyll, Indra is a saga. Davis emphasizes the structure and colour - wonderful trumpet calls, dissolving into finer textures, balancing the warrior with the mystic, bringing out the spirituality in the piece. Davis's recognition of the spirituality in Holst shapes his approach to Invocation (Op 19 no 2 H75, 1911) for cello (Guy Johnstone) and orchestra. Subtitled "A Song of the Evening" , the piece begins and ends sensa misura, allowing the soloist to float the line, so the piece moves freely through many smaller incarnations. Johnstone's tone is rich and sensual, evoking allusions to exotic, non-western concepts of sensuality. The obvious connection here is Holst's Lyric Movement for viola and orchestra, but there are links, too, to Holst's other mystical works, including Venus in The Planets, and indeed to works by other composers of the period, such as Szymanowski, whom Holst may not have known but who shared his aesthetic. A Moorside Suite (H173, 1928), heard here in Holst's 1932 arrangement for string orchestra, was originally conceived for brass band. The first section is boisterous, but the second, a Nocturne,is more mystical than most repertoire for brass band. Although it's an interlude before the final March (con larghezza), it is a beautiful miniature, the solo violin line at once fragile and assured. The Scherzo (H192, 1933-4) is a worthwhile conclusion to this collection, connecting the early Holst of the Cotswolds Symphony with Holst shortly before his unexpected death, when he was woirking on what might have been his only other orchestral symphony. Though it lasts but six minutes, it's inventive and covers a lot of material. Andris Nelsons conducted the Leipzig Gewandhaus Orchestra (Gewandhausorchester Leipzig) in Mahler Symphony no 5 and Bernd Alois Zimmermann Nobody Knows de Trouble I've seen with Håkan Hardenberger, at the Royal Festival Hall in the first of two concerts marking the start of a five year assocaition between the Leipzig Gewandhaus Orchestra and the South Bank. The Gewandhausorchester are regular visitors to London (I first heard them with Kurt Masur) but wow, were they sounding good tonight. The dynamic between players and conductor was like electricity - nothing wasted, quick and agile. The tiniest flick of Nelson's fingers and the Leipzigers knew exactly what to do. No messing about, no fluffed cues ! This is a virtuoso orchestra, yet so full of life and expression, and with Nelsons, there seems to be a real spark. Nelsons has of course conducted this symphony many times, but one of the many things I liked about this particular performance was the way he seemed to be building on the strengths of this orchestra and its unique heritage. It made me reflect on how the Mendelssohn DNA in this orchestra creates the Leipzig sound - warm, dignified and extremely humane. This is pertinent applied to Mahler because his music, far from being bombastic or hysterical, reveals itself best when approached with sensitivity. Although this symphony requires a large orchestra, it operates like chamber music, where individuals pay attention to the others and every note, no matter how small, cointributes to the whole. In some ways, Mahler 5 works like a string orchestra writ large, brass and winds extending instrumental colour. Trumpets lead, but the soul resides in the murmuring "heartbeats", the lower-voiced strings which here seemed to pulsate like a living organism. The celli were placed in the centre, violins and violas around them, basses behind, the winds mediating between the strings, brass and percussion. This symphony connects to Kindertotenlieder, a song cycle with quasi-symphonic structure. There are also connections to Um Mitternacht , another Rückert setting, completed a fe3w months later. "Um Mitternacht/Nahm ich in Acht/ Die Schläge meines Herzens." Paying attention to something barely perceptible in the course of daytime bustle, but heard most clearly in the stillness of night. And note the final verse "Herr über Tod und Leben/Du hältst die Wacht/Um Mitternacht! " Life is fragile, dependent on the beating of a small(ish) organ in the body. It is also significant that the symphony was written not long after Mahler had had a near brush with death in 1901, when the symphony was in gestation. All this is absolutely relevant to interpretation, and thus to performance. What I liked about Nelsons and the Gewandhausorchester Leipzig's Mahler 5 was thus intimacy. The symphony can be done as Big Blast Phil Spector Wall of Sound, which is of course exciting. But for me, anyway, real excitement comes from understanding how the climaxes grow from the quiet moments where the focus is on tiny details, like the ping of the triangle, which on this occasion was every bit as powerful n its own way as the more obviously dramatic trumpet introduction, also beautifully played, echoed later by the other trumpets. Collegiality matters in Mahler 5. Like the human body, the music lives when its components work together. And chamber music collegiality comes naturally to an orchestra like the Gewandhausorchester Liepzig. At moments I felt I could hear the sound of individual players and instruments, working together rather than absorbed into undifferentiated mass. 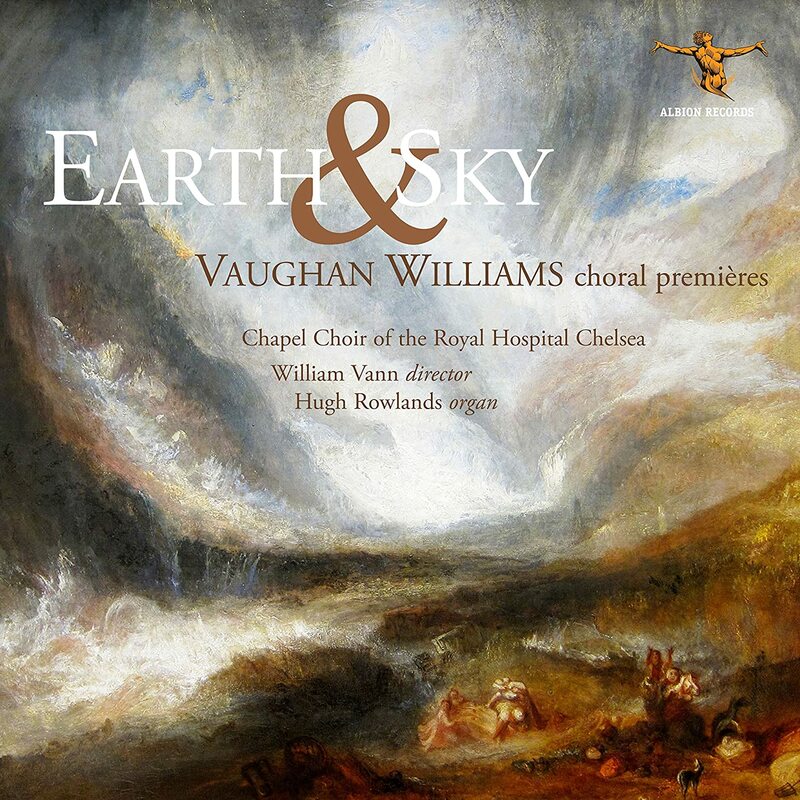 If a symphony should contain the world as Mahler said, this is what it might sound like. Much more hunman and personal ! In this increasingly polarized world, the last thing we need is Party Rally "excitement" in music. Like the beating of a heart, the Trauermarsch was neither hyper nor feeble, but steady and unostentatious. A funeral march, but disciplined, as one might hear in the kind of military garrison town such as Mahler grew up in. Not a flashy militarist procession ! Very deliberate, not long enoughtoi break the flow but just enough to catch the breath - Um Mitternacht Hab' ich gedacht hinaus in dunkle Schranken. This emphasized the contrast with the Stürmisch bewegt section which followed, showing them as two connected parts of the same whole. A lively Scherzo and then one of the most beautiful Adagiettos in a long time, so lovely that it was perhaps the highpoint of the evening. The harps sparkled, the strings shimmered : truly a hymn to love, though not just in the sense of a Valentine for Alma as this section is sometimes marketed. The love here is more transcendent : the love of life itself, a theme that flows through so much of Mahler's music like lifeblood, pumping through the heart. The warmth and assurance that the Leipzigers do so well enriched this performance. Yet again, consider the way Um Mitternacht concludes on a high, with a kind of mini-anthem. Thus the Rondo Finale which pulls together the dfferent threads of the symphony, creating a sense of purposeful unity. In short, the Gewandhausorchester Leipzig trademark style, unfussy but profound. Nelsons has conducted Bernd Alois Zimmernann's Nobody Knows de Trouble I've Seen paired with Mahler 5 with the Berliner Philharmoniker since it features a stunning, jazzy trumpet part (Håkan Hardberger, too) as does the symphony. But the glow of the Gewandhausorchester Leipzig is different from the shine of the Berliner Philharmoniker so this time, the combination didn't work as well. Times when politics makes you sick ! Judicial temperament once meant impartial objectivity. Henry Purcell Dido and Aeneas with Richard Egarr and the Academy of Ancient Music at the Barbican, London. Claire Seymour reviews it here in Opera Today - enjoy reading ! Mozart Die Zauberflöte at La Monnaie /De Munt, conducted by Antonello Manacorda, directed by Romeo Castellucci. Part allegory, part Singspeile, and very much a morality play, Die Zauberflöte is not conventional opera in the late 19th century style. Naturalist realism is not what it's meant to be. Cryptic is closer to what it might mean. It is thus ideally suited to Romeo Castellucci's intelligent, literate approach, with multiple layers of symbols, not all of which might be obvious at first, but become more rewarding with each viewing. His sets are elegant but don't operate on appearance alone. Castellucci is a director for those who care enough about opera to make an effort to penetrate beyond the surface. 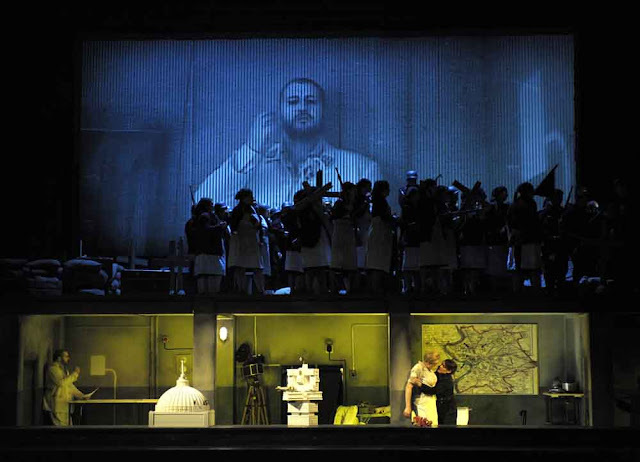 Those who want opera to be "pretty" can be content, but they'll miss out on the real depths. 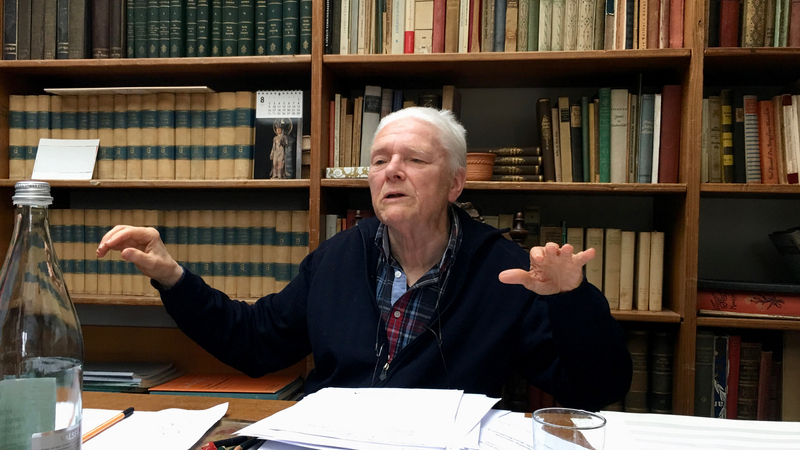 Please read more about three of his recent productions Salzburg Salomé, Munich Tannhäuser, and Henze's the Raft of the Medusa. Like composers, and conductors and artistes, good directors have a vocabulary of their own : the more you experience, the more patterns emerge. Catellucci's approach to Die Zauberflöte is illuminating on many levels, a term which has more meaning in this case than usual, since illumination is a concept at the core of Freemason beliefs. Freemasons are "The Sons of Light", light meaning enlightenment, self-awareness and understanding an individual's place in a community. Members undergo rites of initiation, facing challenges as they rise within the hierarchy. Until very recently, secrecy was also part of the Freemason ethos, further emphasizing the concept that wisdom comes not as an automatic right for everyone, but only to those who make the effort to seek it out. Elitist perhaps, but that kind of elitism is no bad thing. Thus the Overture is played over a dark set where a man faces a single line of light and tries to grasp it. Other men appear, in strange non-human regalia, with a sheet of coloured cloth. It's evidently a reference to something, though one I don't get, which is part of the fascination of Castellucci productions : you don't need to know everything first time round, which in itself is the beginning of wisdom. 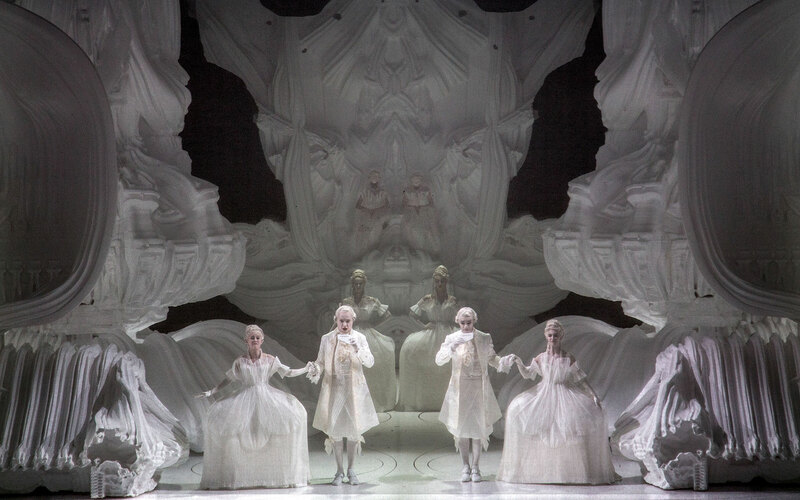 The darkness remains, but now is backdrop to props and costumes of lustrous whiteness: singers and actors move like dolls in an elegant music box, seen through a haze of fine gauze. Roccoco elaboration against classical formality. For more detail on the set, which is as beautiful as icing on a wedding cake, please see HERE. he singers move in symmetrical patterns, suggesting at once the intricate layers in the plot and the idea that the characters’ fates are controlled by forces beyond their control. The moon, the sun, the movement of planets in the universe and the traverse of time. Lots of feathers, too, evoking nature and the birds, and Papageno (Georg Nigl) whose job it is to trap and kill. In Die Zauberflöte the Queen of the Night (Sabine Devieilhe) pits her wits against Sarastro (Gábor Betz) and his confrères. Men versus women, an undercurrent that runs through the piece, which Castellucci, with his appreciation of the "Eternal Feminine", knows how to develop. Thus the interlude between the first and second acts, separating the silvery night from golden day. At first, the impersonal "song" of machines : three women are seen using breast pumps. Real women, who lactate. the contrast between this intimate act of selfless nurturance and the hollow drone of the machine makes a point. As the real music starts the milk is poured into a long tube - the tube which represented light right at the beginning. This makes sense connected to Sarastro's aria "O Isis und Osiris" which follows, which is an invocation to protect those starting out on their journey ahead. Castellucci then inserts spoken dialogue which also should not shock, since dialogue is part of the Singspiele tradition. Women and men on two sides of the same stage, costumed as androgynes. As they tell of the challenges they have faced in their lives, they become individual, with personalities and backgrounds. Compelling testimonies about coming to terms with blindness and disfiguremernt. Many of these speakers are in fact real people, not actors, and they've faced challenges most of us may (hopefully) never meet. So anyone in the audience who can't face these brutal truths therefore fails the challenges placed before them. "We have passed through the Night. We are very close to freedom". So don't anyone dare knock this scene or sneer at their courage, and Castellucci's decision to let them speak. The reason the dialogue is in English is, I think, because the speakers come from different countries, but are united by experience - another concept important to this drama. More gold - more "light"- but androgyny still prevails, since enlightenment is not yet achieved. Georg Nigl's robust Papageno provides comic relief, of a sort, but the silvery tomes that accompany his song suggest the silvery tones of the night. For much the same reason, the Three Knaben represent immaturity. They have the innocence of birds, for they have not experienced challenge. Tamino (Ed Lyon) and Pamina (Sophie Kärthauser) will, however, grow up in the course of the time as they face their destiny. Different couples - professional singers and amateur speakers - are seen interacting together, coming to "know" each other and themselves. More symmetry still, and almost painful vulnerability. A blind woman lets herself be touched, respectfully, by men whose hands are maimed : she has learned to trust, not to judge. Would that more audience dared the same ! 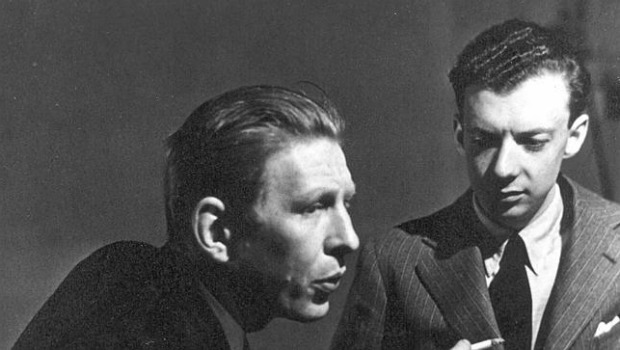 Then another surprise - the Narrator (Dietrich Henschel)! He finds himself alone. "I am not myself, but still myself. I have crossed another horizon", he says "But I have you, silvery light, victorious over fire". He calls out the individual names of the non-professional speakers, who surround him, some of whom are burns victims. "You are the truth for me - you re-assure me". 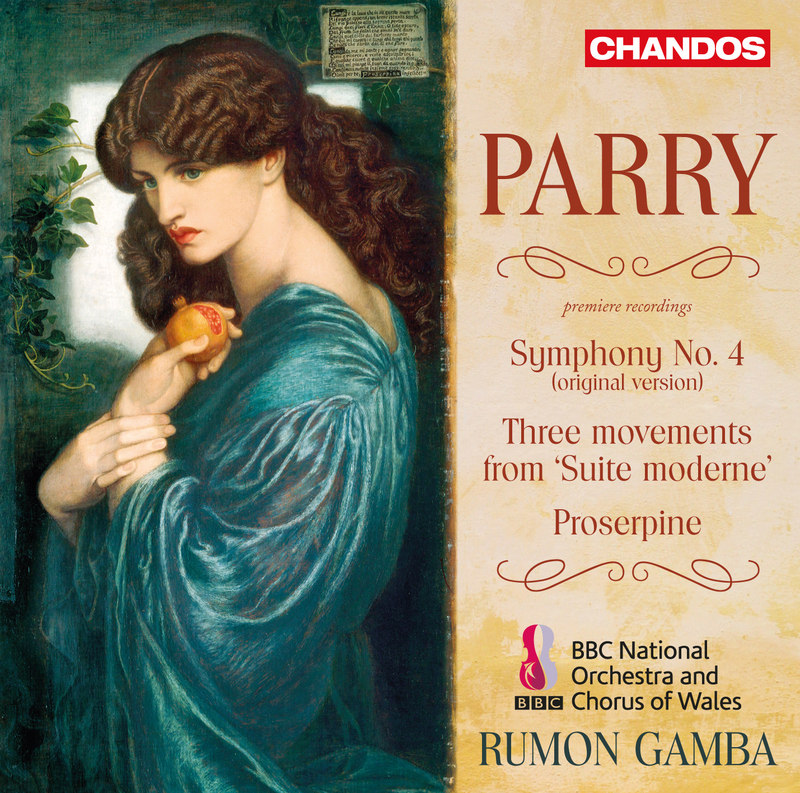 Thus the bird-like freedom and innocence of the Papageno-Papagena duet that follows and the joyous ensemble, where all are united, women and men, Night and Day, mortals and (possibly) immortals. "Heil sei die Geweihten! Ihr dräget durch Nacht!.....Es siegt die Stärke und Krönet zum Lohn die Schönheit und Weisheit mit ewiger Kron". A fine cast all round, conducted by Antonello Manacorda, worthy of the challenges of this visionary yet powerfully human production. Those who can cope with challenge can catch it here on arte.tv.